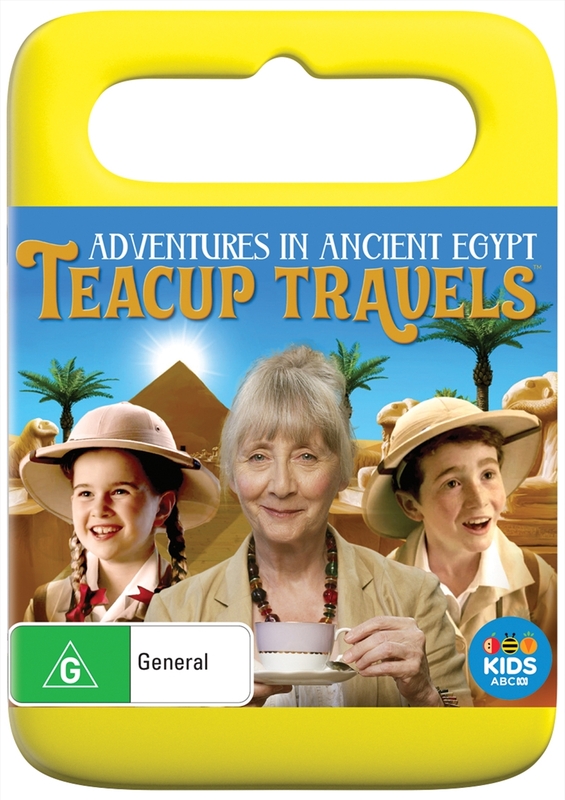 Teacup Travels Ancient Egypt ABC DVD - On Sale Now With Fast Shipping! Their adventures back through time begin with a teacup! But which one? Great Aunt Lizzie has lived a long, long life of wonderful archaeological discovery and wild adventure. How long exactly, nobody knows, but long enough to give her an endless collection of stories from her exploits in Ancient Egypt. She is so good at telling those tales that Charlotte and Elliot can't help but imagine themselves long ago and far away, in Great Aunt Lizzie's old battered boots.